Earthquake Prediction: Mount Agung volcano on the Indonesian island of Bali is now responsible for almost 150,000 evacuees as eruption draws ever closer! Mount Agung volcano on the Indonesian island of Bali is now responsible for almost 150,000 evacuees as eruption draws ever closer! The number of people evacuated over the possible eruption of Mount Agung volcano on the Indonesian island of Bali, the country`s major tourist destination, crossed 144,000 on Friday. Those evacuated were housed in hundreds of shelters across nine districts on the island. Sutopo Purwo Nugroho of the Indonesian National Board for Disaster Management (BNPB) told Efe news that although the exclusion zone established around the volcano was now practically empty, a few residents had refused to leave, unwilling to abandon their livestock. A 12-km radius exclusion zone was set up around the volcano and the alert level for the possible eruption was cranked up to the maximum 4 on September 22. "If an eruption does occur, it is most likely to be small at first. 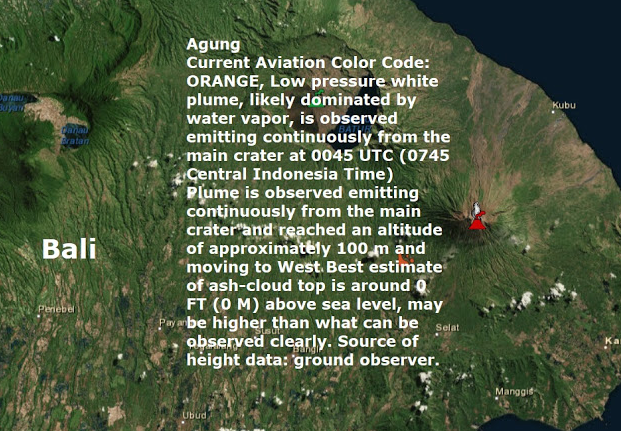 However, a large eruption may follow," the head of Centre for Volcanology and Geological Hazard Mitigation (CVMPG) said. Over the last few days, a column of smoke has been emanating from the crater, reaching an altitude of between 50 and 200 meters. CVMPG, as well as the provincial government of Bali, maintained that it was safe to travel to the island and a plan had been prepared to divert planes bound for Bali`s Ngurah Rai International Airport in case of an eruption. Experts say it is impossible to predict if the 3,031-meter high volcano will erupt or not, but that there was a greater possibility of an eruption. The BNPB had said on September 21 that the current tremors were similar to those that occurred before Mount Agung erupted in 1963, which lasted almost a year and killed over 1,100 people. Indonesia is home to more than 400 volcanoes, of which at least 127 are active and 65 are classified as dangerous.